DoNER Minister, Dr Jitendra Singh. File Image. Northeast will soon have an exclusive regional data centre, which will be a state-of-the-art institution to be set up with the support of Government of India’s National Informatics Centre (NIC). 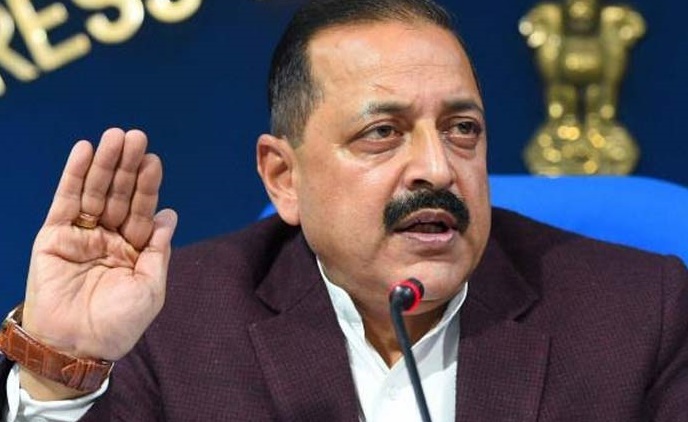 Union Minister of State (Independent Charge) Development of North Eastern Region (DoNER), Dr Jitendra Singh said this on Thursday while adding that the proposed centre will be set up at Guwahati and the land for it has been provided by Government of Assam. At present, NIC is running national data centres at Delhi, Hyderabad, Pune and Bhubaneswar. The proposed Northeast Regional Data Centre at Guwahati is expected to be set up with a budget of approximately Rs.300 crore. Department of North Eastern Region (DoNER) and North Eastern Council (NEC) have in-principle agreed to support the project, the exact quantum of support and the share of financial assistance will be mutually worked out depending upon feasibility and available resources. A team of National Informatics Centre (NIC), comprising among others Deputy Director General, D C Mishra, State Informatics officer Suchitra Pyarelal and Regional Technical Director Ashish Vikram Asthana, briefed the DoNER Minister about the project. It was stated that with the establishment of Northeast Regional Data Centre, the implementation of key flagship projects of the government can be fast tracked and optimum utilisation can be ensured of the man-power as well. “This initiative will also play an integral role in building digital Northeast India as a part of “Digital India. This shall also provide impetus to increased use of e-governance services, geo-spatial applications and development related activities. In addition, there will be confidentiality and strategic control of data as well,” he said.